Did you know that the fastest flying insect is the dragonfly? Or that there are more insects in North Carolina than humans in the entire world? 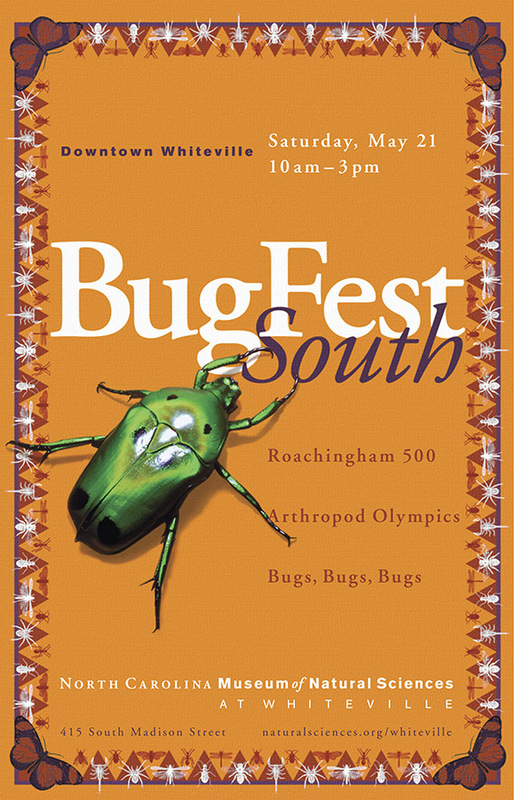 Come to BugFest South at the North Carolina Museum of Natural Sciences at Whiteville Saturday, May 21, to learn about the arthropods that make up three quarters of all animals on Earth! BugFest South is a free, family-friendly festival celebrating the creepy crawly creatures we love. Enjoy the entertaining displays, exhibits and activities – both inside and outside the Museum. Compete in the Arthropod Olympics, cheer on Madagascar Hissing Roaches at the Roachingham 500, and learn about different insects at our Arthropod Zoo. For more information call 910.914.4185 or email whiteville@naturalsciences.org.